Pope Gregory II's defiance of the Byzantine emperor Leo III the Isaurian as a result of the iconoclastic controversy in the Eastern Empire prepared the way for a long series of revolts, schisms and civil wars that eventually led to the establishment of the temporal power of the popes. In November 1848, following the assassination of his minister Pellegrino Rossi, Pope Pius IX fled Rome. During a political rally in February 1849, a young Roman priest, the Abbé Arduini, described the temporal power of the popes as a "historical lie, a political imposture, and a religious immorality." On 9 February 1849, the newly elected Roman Assembly proclaimed the Roman Republic. Subsequently, the Constitution of the Roman Republic abolished the temporal power, although the independence of the pope as head of the Catholic Church was guaranteed by article 8 of the "Principi fondamentali". At the end of June 1849, the Roman Republic was crushed by 40,000 French troops sent by Louis Napoleon Bonaparte (later Napoleon III), at the urging of the ultramontane French clerical party. The temporal power was restored and propped up by a French garrison. The first idea of convening an Ecumenical Council in Rome to elevate the temporal power into a dogma, originated in the third centenary of the Council of Trent, which took place in that city in December, 1863, and was attended by a number of Austrian and Hungarian prelates. However, following the Austro-Prussian War, Austria had recognized the Kingdom of Italy. Thus the revival of the temporal power of the Bishop of Rome was deemed impossible. Some, primarily Italian, clergy suggested an ecumenical council to dogmatically define papal infallibility as an article of faith, binding upon the consciences of all Catholic faithful. This doctrinal view, however, initially proposed by Franciscan partisans in opposition to the prerogative of Popes to contradict the more favorable decrees of their predecessors, faced significant resistance outside of Italy prior to and during the First Vatican Council. That in 1970, precisely on 20 September 1970, Pope Paul VI sent Cardinal Angelo Dell'Acqua, his vicar for Rome, to Porta Pia to celebrate the "providential" significance of the loss of the temporal power. Since then, at least since then, Porta Pia has also been a Catholic celebration! Formally, the temporal power was restored in 1929 with the treaty between the Vatican State and Italy (Concordat), when the papacy accepted to have no more interests on Italy, its closest neighbor, and therefore on any other country. 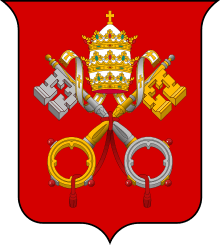 Some small degree of temporal power persists in the formal government of the Vatican City as an independent state. Temporal jurisdiction refers to past claims by the Pope to rule or have power over territory in the temporal realm of Earth in addition to his spiritual authority as vicar of Christ. For over a thousand years popes ruled as sovereign over an amalgam of territories on the Italian peninsula known as the Papal States, from the capital, Rome. The pope's alternative claims to reign in religion and to reign in a state were reflected in the possession of two official papal residences: the Apostolic Palace in the Vatican, which served as their official religious residence, and the Quirinal Palace, which was their official residence as sovereign of the Papal States. In 1870 papal rule in the Papal States was deposed; the territories were included in the territory of the Kingdom of Italy with Kings of Italy using the Quirinale as their official state palace. Popes continued to assert that their deposition from temporal jurisdiction in the Papal States was illegal until 1929. Catholics were prohibited from voting in Italian elections and Italian state and royal institutions were boycotted as part of their campaign for a return of the papal states. In 1929, with the Lateran Treaty the Italian state and the papacy agreed to recognise each other, with the state paying the Church compensation for the loss of the territories. 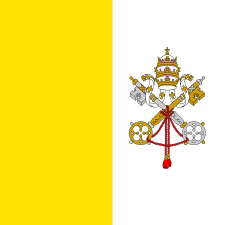 The pope was recognised as sovereign of a new state: the Vatican City. The Papal Coronation and the papal crown (the Papal Tiara) were both interpreted as reflecting a continuing claim to temporal jurisdiction by the papacy. However, in his homily at his October 1978 Papal Inauguration, Pope John Paul II dismissed that claim and asserted that the papacy had long had no wish to possess any temporal jusdiction outside the Vatican. ↑ De Cesare, Raffaele (1909). The Last Days of Papal Rome. Archibald Constable & Co. p. 422. ↑ De Cesare, Raffaele (1909). The Last Days of Papal Rome. Archibald Constable & Co. p. 423.